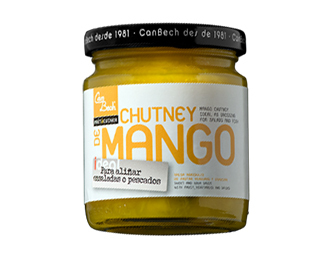 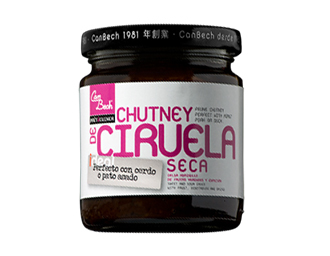 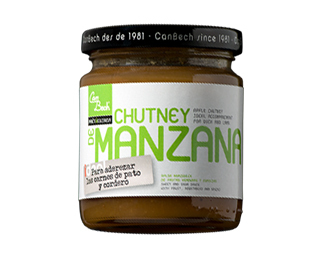 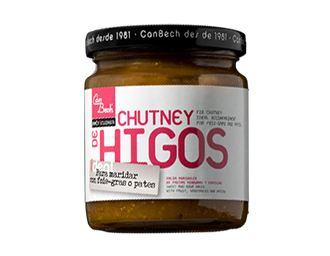 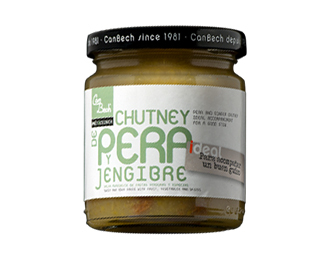 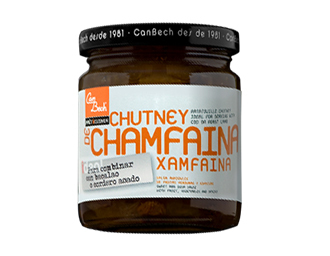 Chamfaina is a traditional dish in Catalan cuisine, healthy and delicious and made with red and green peppers, tomato, onion, aubergine, white wine and a touch of cayenne pepper, which we have made into a delicious chutney. 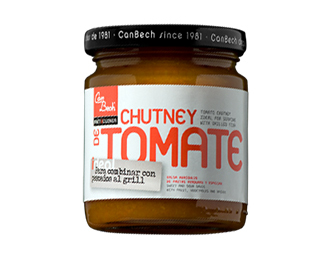 Ideal to combine with cod or roast lamb, with chicken or to stuff aubergines or a vegetable lasagne. 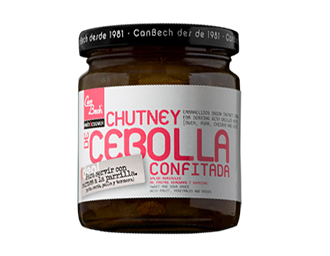 Ingredients: tomatoes, onions, aubergines, red peppers, sugar, white wine, green peppers, salt, pepper and cayenne pepper.